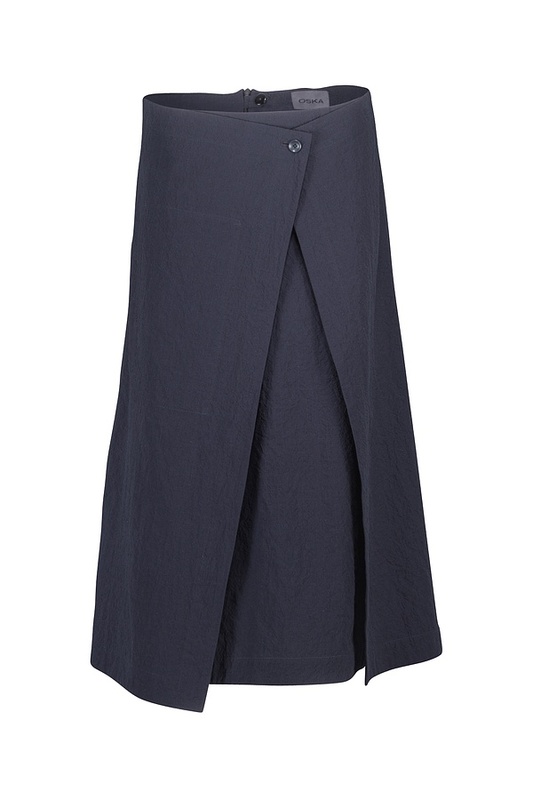 Its feminine casual flair makes this OSKA skirt a must-have! The wraparound effect charmingly accentuates the A-silhouette. What goes with it? Short boxy tops are great team players. 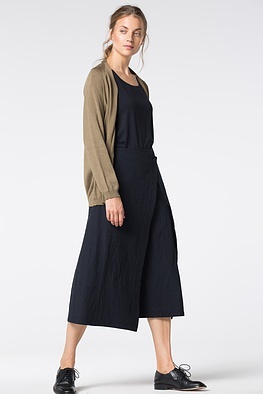 A fitted cardigan accentuates your female contours. This skirt closes at the back with a zipper and button. One pocket is positioned on the front side seam.